When mining the Lucky Block can drop diamonds, gear and many other awesome items. The block can also spawn (hostile & friendly) mobs and even structures which you can enter. 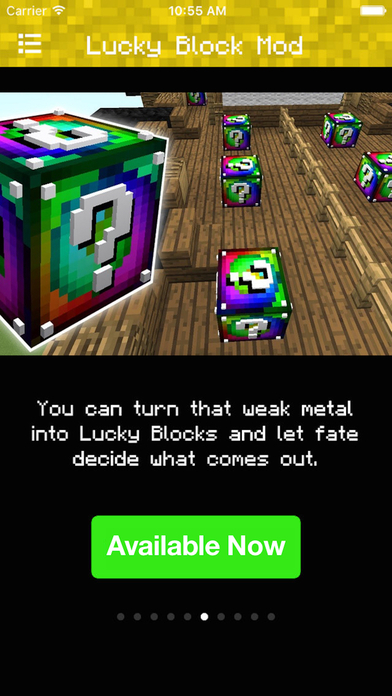 This app guide is an awesome guide for any player who wants to learn about Lucky Block Mod and level up their game. 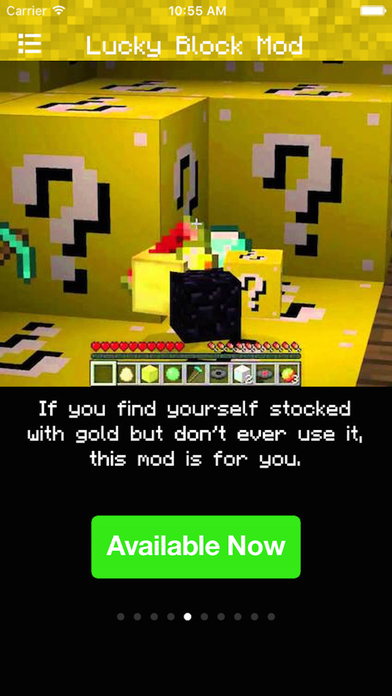 It offers tips and installation methods how to install Lucky Block Mod on their Minecraft PC edition. Please note: This app works only for the PC & Mac Version of Minecraft. You cannot mod your Minecraft Pocket Edition client with this app. Disclaimer: This is an unofficial application for Minecraft Pocket Edition. This application is not affiliated in any way with Mojang AB.